Cathedral of St. Joseph – a rebel of cathedrals, with twin Gothic towers built in 1892 this building mimics the form of Montreal’s Notre Dame. Wadsworth Atheneum Museum of Art – one of the oldest art museums in the United States that houses modernist artwork as well as American impressionists paintings plus much more. Harriet Beecher Stowe Center – the author and former neighbor of Mark Twain, this center showcases playbills and other artifacts from the Stowe’s life. Connecticut Science Center – opened in 2009 this nine-foot science center with theater will leave your family quite entertained during your trip to Hartford, CT. Abandoned Comet Diner – why not visit an empty diner that went vacant in the 1940’s and currently stands as a steel and chrome beauty. Bushnell Park – the oldest publicly funded park in the United States offers you 50 acres of land with a pond, a performance pavilion and much more to enjoy for some downtime. Mortensen Riverfront Plaza – get some exercise in while enjoying the beautiful stairs located at this riverfront plaza that offers front row seats during the dragon boat festival. Hartford Stage – over 52 years ago this location opened its doors and has been offer revivals of old plays as well as musicals in a relaxing and fun-filled environment. On20 – dining at this upscale Hartford, CT restaurant will make you feel pretty fancy during your trip, they offer an innovative and colorful option of food on their menu. Charter Oak Landing – here you can enjoy a boat tour of the river or relax over a picnic lunch, fishing or enjoying a little playtime with the kids at the playground here. Colonial America Tavern Signs Collection – back in the day of American colonists there was a requirement to have a tavern in every town, here you can see those old signs. A. Everett Austin Facade House – this is a unique home that appears to be a mansion on the outside but is merely a one-room-deep hoax and a must see when in Hartford, CT.
Cedar Hill Cemetery – with over 32,000 people buried here this 1864 cemetery is actually a hidden gem in Hartford, CT and a must see when in town. Connecticut State Capitol – try to fit in a tour of the state capitol building while in Hartford, CT to view the Hall of Flags. Museum of Natural and Other Curiosities – hidden on the top floor of the Connecticut state house you’ll find this odd museum full of old paintings and artifacts. Horace Wells Memorial – visit the memorial of the famous dentist who was the first to experiment with the use of anesthesia. Flood 1936 Marker – this historical marker reminds residents of the time that the Connecticut River flooded and nearly wiped out all of New England. Hartford Circus Fire Memorial – a memorial of the fires that were out of control by both circus and US events in history. Statue of Rover – seated outside of the hospital, a statue of a dog named Rover who was told to stay when his unidentified owner entered the hospital and never left. World’s First Pay Telephone – invented in 1889 by William Gray, you can find the plaque that shows were the world’s first pay telephone was located all those years ago. Elizabeth Park – a beautiful park to take an evening stroll while traveling in Hartford, CT with a beautiful wildflower trail to take in the sweet scent of flowers. 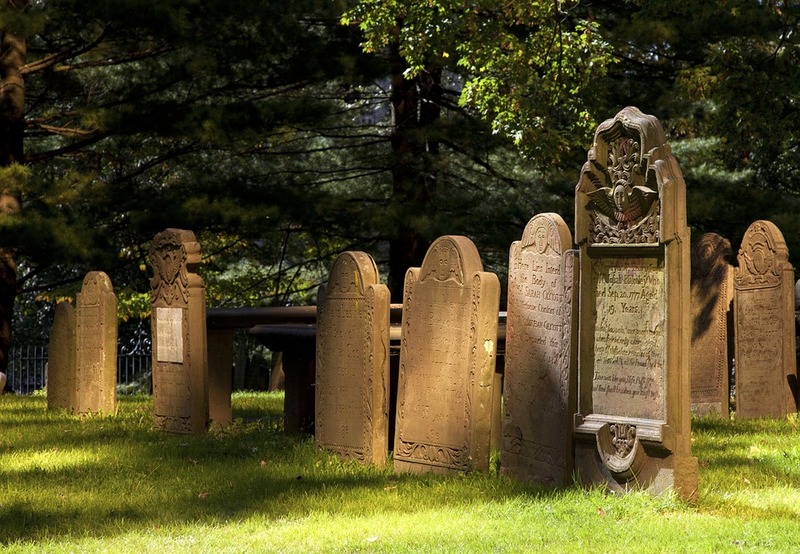 Ancient Burial Ground – further out from the hustle and bustle of city living, you’ll find this peaceful cemetery with graves dating back to the 1600’s. TheaterWorks – a professional off-Broadway theater that has showings quite frequently and is a must visit during your trip to Hartford, CT.
Connecticut Convention Center – this is the perfect location for trade shows, conventions and meetings as well as some bistros that you must check out. Hartford Public Library – even if you’re not really into books, you must stop in the Hartford Public Library to have a look around and experience this beautiful location. 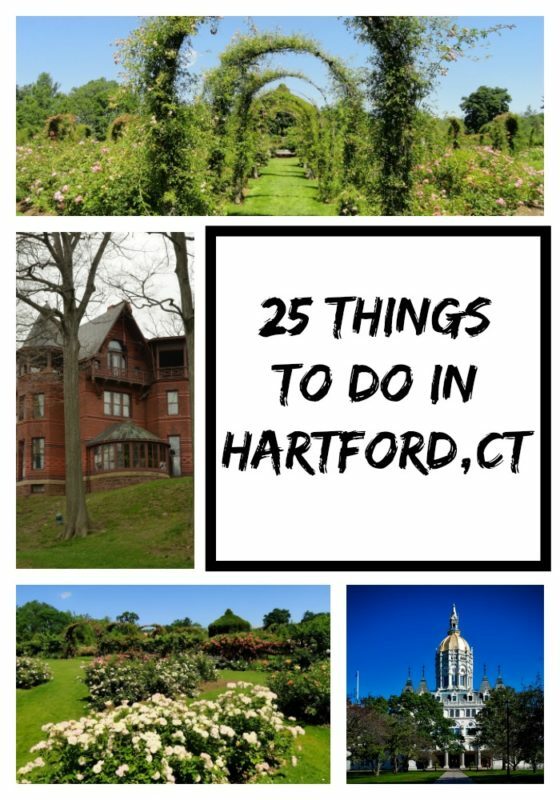 There you have it 25 things to do in Hartford, CT while you’re visiting for pleasure, business or family time. Hartford, CT offers such a wide range of history and art for everyone to enjoy. So many great things to do in Harford. I’d love to go to the Mortensen Riverfront Plaza during the dragon boat festival. That would be so much fun! I drove through Hartford once for an event, a good number of years back. This list would be helpful for anyone visiting the area. You know, I think I’m going to pull up all your posts on things to do in the New England area and plan a vacation around them. You always have such great picks. So cool! I would be excited to do any of these things on this list. I just love history. I would for sure go to the Mark Twain house. I always love your tours and living not too far south of you makes them a possibility. I will keep these Hartford sights in mind if we ever take the short trip. So many things to see and so little time. I think the one I would love to see out there is Museum of Natural and Other Curiosities! I love that kind of stuff. What a beautiful Country this would be to visit and I found things I can share with my son for Homeschooling this year. So another Country to add to my Bucket List. I reside in Connecticut and one of my favorite places to visit is the rose garden. Especially, during this time of year. Visiting and seeing everything that Hartford has to offer would take a weekend or more! I think it would make for a great family trip! Twain & Stowe were neighbors? That is very cool. I would love to visit CT.
What an amazing looking place to go and explore – who knew there was so much to do there. I would love to spend some time exploring it all for myself. Jason and I were just discussing future travel plans and we still need to hit up the east coast. If Hartford makes it onto our list, this guide will be really handy for our planning. It’s been so long since I last visited CT and I’ve never been to Hartford before! I think it’s awesome that there’s so much to do there. I wonder if I can finish this all in three days. It would be fun to experience them all! So many things to see and do in Hartford. I hope I could visit with my family soon. So much history! I would love to visit New England. The are is just so eat. Awesome list!! Would love to save this! Lots of fun ideas! I’ve never been to Hartford, Connecticut, but it sounds like there is a lot to do. I would love to check some of these things out if I were to visit. I’ve never been to Connecticut but I have a friend who lived there for a few years. She always talks about how beautiful it is. The Flood 1936 Marker sounds familiar to the 1967 floods in Fairbanks, Alaska. I’ve never been to Connecticut but I have a friend who lived there for a few years. She always talks about how beautiful it is. The Flood 1936 Marker sounds familiar to the 1967 floods in Fairbanks, Alaska. I love history! Wow, I didn’t know Hartford had so much to offer. Tons of things to do and see making it a great vacation. We haven’t been in Connecticut so this list will come in handy when we decide to visit. Hartford seems like a beautiful place. That’s a lot of great things to do. I’d love to go visit there sometime. Looks like a lovely place to be. I think my husband and I need a date night and dinner at On20 sounds so fancy! Much deserved for so many parents out there! Wow you complied a lot of things to do in Hartford,CT. I will definitely keep many of these things in mind if I ever get a chance to visit Hartford! I’ve only been to CT once but I really love it! When we visit my family in VT, we often stop in NH and CT.
My husband went to UCONN and loves this area! We are planning to visit next summer to show our daughter’s his old campus! These are great travel tips! Such a great compilation on what to see and what to do in Hartford. I am so looking forward to visit this on my own soon. Yay! Exploring Maine The Summer is Already Half Over – Don’t Miss Out on Going to Water Country This Year!